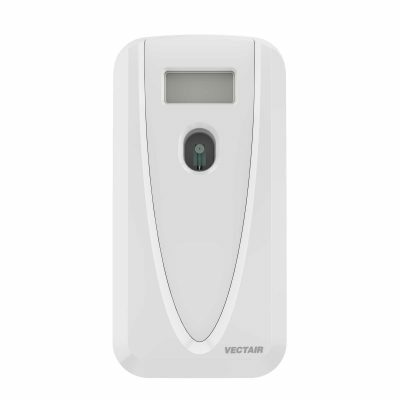 Aircare technology has evolved. 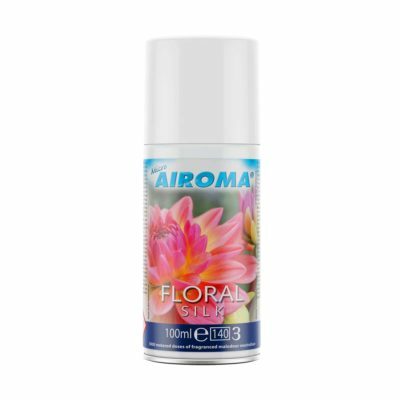 Small bursts of fragrance. 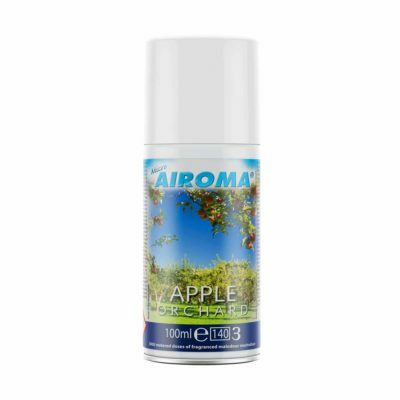 Part of the MVP range, the Micro Airoma® MVP dispenser is a small automatic air freshener designed to provide facilities with regular small bursts of fragrance. 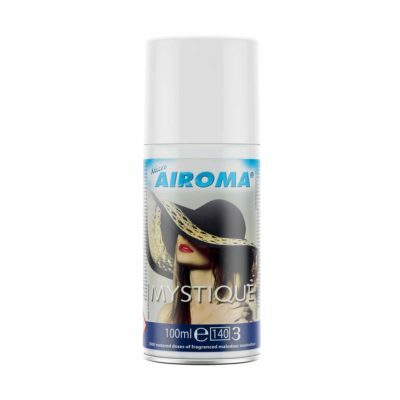 Like its big sister, Airoma® MVP but smaller, Micro Airoma® MVP provides flexible and easy to use programming options. 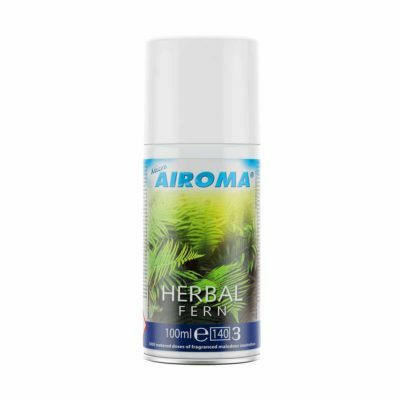 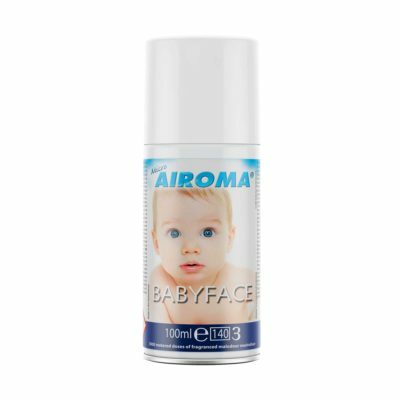 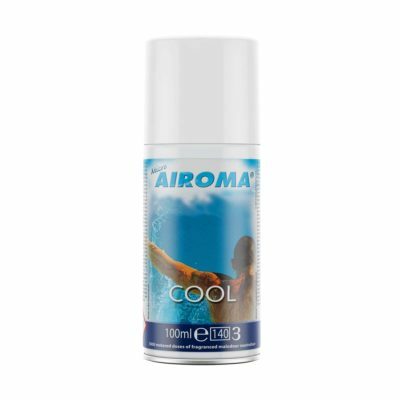 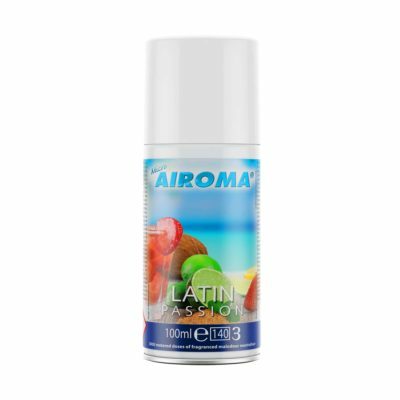 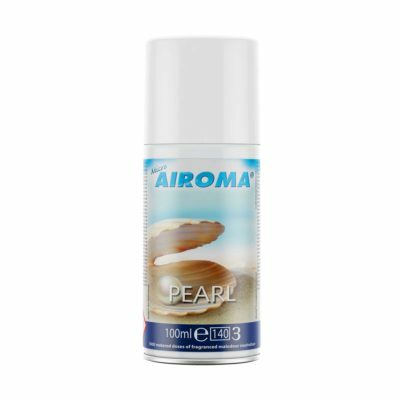 Micro Airoma® Air Freshener Refills are available, with four distinct ranges; the ‘Classics’, ‘Fruits’, ‘Oriental’ and the ‘Airoma® Therapy & Spa’ fragrance ranges. 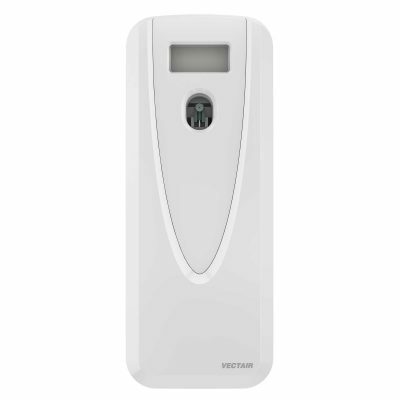 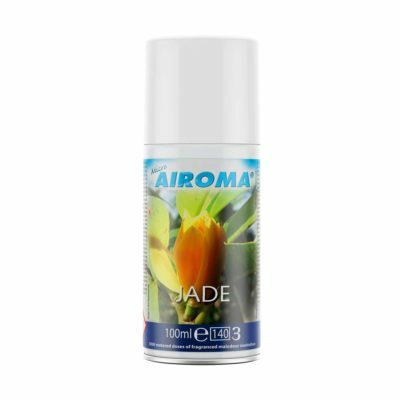 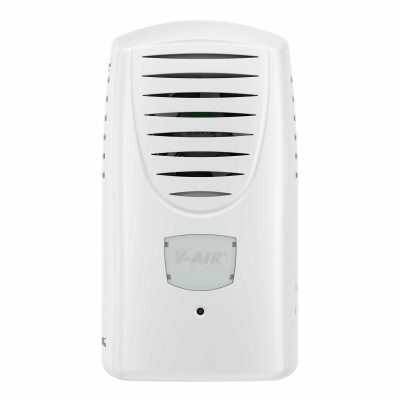 Capacity: 3000 metered sprays per fragrance refill (100ml refills). 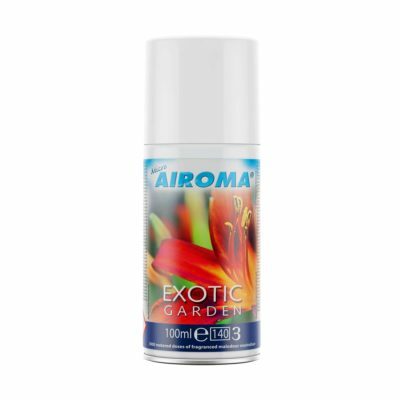 This sensual and exotic fragrance is bursting with the scents of a floral bouquet, with a warm heart of jasmine. 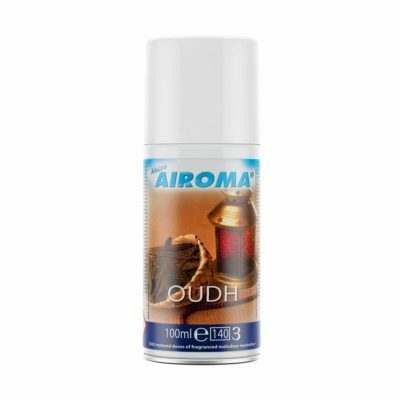 This dark, rich and resinous scent mixes spices with woody notes and a hint of leather. 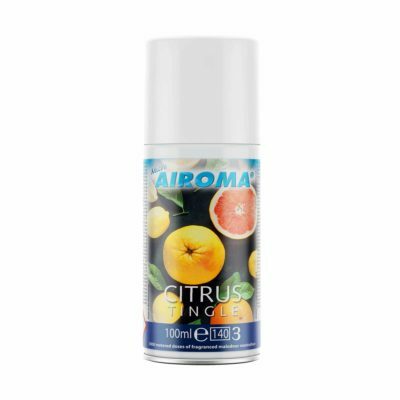 A clean fresh scent combining pink grapefruit, musk and yellow rose, to capture purity and sensuality. 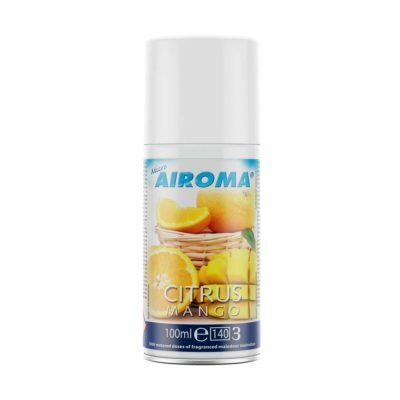 A warm woody scent charged with citrus and various fruits and herbs. 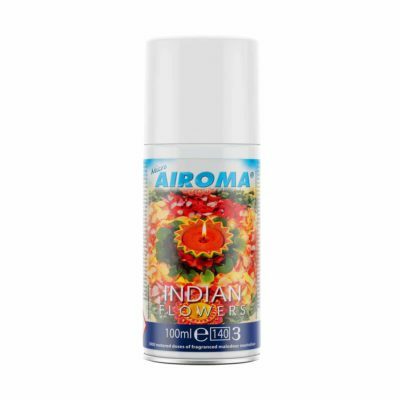 Powerful and revitalising.